New Arrivals from £6 at Just My Look - Including Yankee Candle! Ever since Cleopatra picked up lipstick to craft her trademark look, makeup and beauty have been big business. With so many brands and products to choose from, it’s good to know there’s a website out there that handpicks the best in each category so you don’t have to spend hours trawling the web for the next big thing. Justmylook is just such a website, with over 150 prestige brands on its pages covering your haircare, bodycare, fragrances, makeup and so much more. Its makeup section will help you contour, layer and conceal, its haircare pages will have you washing, conditioning and scenting with ease and you can prep, apply and extend your glow in its tanning department. Your new appliances are here too so whether you’re curling, straightening, drying or even crimping like the 90s never left, Justmylook has the tools to help you get it done. With plenty of products for the stylish men out there too, everyone can enjoy the curated offering here. Just one look at Justmylook and you’ll be hooked! How do I use my Just my look discount code? 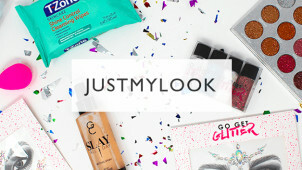 Sign up to Justmylook’s newsletter at the bottom of its website to hear about some brilliant offers! Can I get free delivery with Justmylook? Delivery is free on all UK orders! Does Justmylook have an outlet? Yes, its outlet is teeming with great deals. Does Justmylook have a vegan range? Yes, its hair and makeup ranges have dedicated vegan sections! You can return your purchase to receive an exchange or refund, so long as you contact Justmylook within 14 days of receiving your order. You must then send the item back within 14 days of getting in touch. Item must be in original conditions and resealed packaging. Contact Justmylook to begin the returns process. See the full policy for more details. Justmylook is all about you — a makeup and beauty store dedicated to helping you find your style. Shop its ever expanding range of skincare products to help you feel great inside and its makeup and beauty ranges to shine on the outside too. It’ll all come in for less with a Just my look discount code from vouchercloud that’ll knock the pounds off your nail polish, some money off your moisturiser and some cash off your cleanser too. Makeup and beauty regimes these days can be pretty tough, but things were even more challenging in the past. From the Middle Ages through to Victorian times, pale skin was in fashion, with women applying ceruse — a delicate mixture of, umm, lead and vinegar — to their faces, necks and chests. The lead in ceruse would often cause hair loss, muscle paralysis and much worse! Thankfully the products on Justmylook are made from only the finest ingredients, so all you’ve got to worry about is looking and feeling amazing. The most expressive part of your beauty regime can be found right at the end of your fingers...doing your nails is a whole world of opportunity to bring colour and creativity to your look, and all for less with a Just my look voucher code from vouchercloud! Shop your cuticles, polish and files right here to make the most of the beauty that’s literally at your fingertips. Whether you’re going for a block colour to suit your outfit or some expressive patterns that let out your artistic side, JustmyLook gives you the tools to nail your nails time after time!